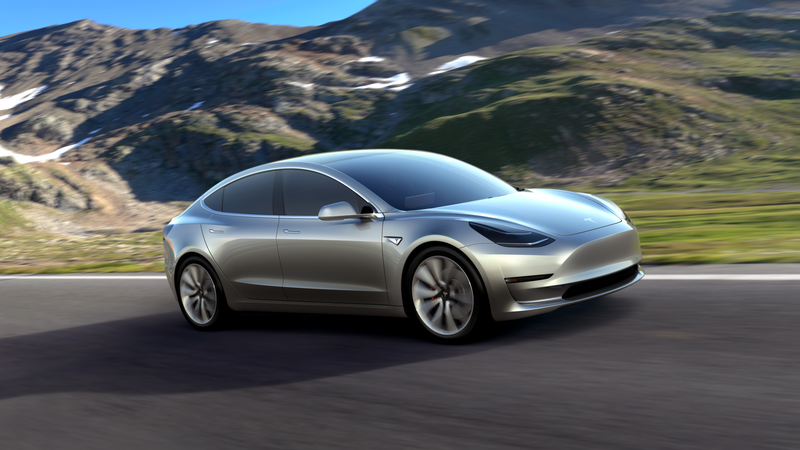 As of Saturday morning, Tesla Motors CEO Elon Musk announced via Twitter that Tesla Model 3 orders were at a whopping 253,000 two days after its debut. Since that debut, we’ve learned quite a bit about the car—things both good and bad. With that, let’s take a moment to break down everything we know so far. The base price for the Model 3 is a mere $35,000—mere in comparison to the rest of the Tesla models—and tax credits for purchasing an electric vehicle can lower that price even further. But we later learned that add-on Model 3 features can potentially drive the price up to $60,000, and Musk tweeted his estimates that an average mix of features will cost about $42,000. Lower price doesn’t mean low speed, because Musk said the company doesn’t make slow cars. The slowest of them all will go zero to 60 mph in under six seconds, and Tesla claims its range before requiring a charge will be at least 215 miles. Apparently that’s a safe estimate, because the company expects longer ranges—the pricier versions promise it, even. As many of us have seen, there’s a giant screen on the dash that will reportedly be provided by LG. That means fewer buttons and a potentially more distracting setup for the interior, but a lack of buttons does make updates easier. Despite its speed, Andrew said the car was incredibly quiet. The back seat had a lot of room as well, but it was hard to get a feel for how comfortable it would be on a ride longer than three minutes. The standout feature on the car was the continuous piece of glass on top of it, which includes the windshield, roof and rear window. The styling choice made the smaller interior feel “simply boundless” despite the fact that Andrew had to share the ride with several other adults, which sounds like a feat in itself. Andrew also called the interior “surgically clean” from his point of view, which brings us to the next thing we learned. While getting rid of a complicated interior, Tesla also tossed out a grille on the Model 3. Because electric cars have different cooling requirements, Tesla hasn’t needed to put grilles on its other cars—the style was just more in line with what most of the world drives. The new look is a bold one—that’s for certain. But in-person opinions may have to wait awhile, even for a good number of people who jumped on the Model 3 reservation list early. Because of high reservation numbers, analysts predict that future buyers may have to wait, oh, just about three to four years for a car. That doesn’t sound particularly fun to talk about, but let’s get to it already. That’s right. Even for those who preordered the vehicle. Musk admitted in a tweet that he expected numbers to slow a bit after the initial sales boom, but they did not. With the numbers the way they are, Fortune predictions put about half of the first-day orders for the Model 3 as not being fulfilled until 2019. The breakdowns on production numbers are pretty extensive, but the end result puts a lot of buyers waiting several years. Those estimates take current rates of production into account, though, and Musk tweeted that Tesla would definitely need to rethink its production plans for the car. If a production revamping for the Model 3 happens on a monumental scale, those numbers could end up out the window. But the one thing that won’t change is the order numbers. Once electric-vehicle sales hit 200,000, the $7,500 federal tax credit begins decreasing incrementally. If everyone on the current registration list for a Model 3 ends up buying the car, that number went out the window days ago. So, there you have it. The good, the bad and the lengthy about Tesla’s new car. The order numbers surprised even Musk, but hey—at least he said he’s giving all of the early birds a gift for camping out to buy his company’s new car.